Federico Fabian Peña (born March 15, 1947) is an American politician who was the United States Secretary of Transportation from 1993 to 1997 and United States Secretary of Energy from 1997 to 1998, during the presidency of Bill Clinton. Born in Laredo, Texas, Peña earned a B.A. (1969) and a J.D. (1972) from the University of Texas at Austin and The University of Texas School of Law, respectively. Moving to Colorado, where he became a practicing attorney, Peña was elected to the Colorado House of Representatives as a Democrat in 1979, where he rose to become Minority Leader. In 1983, Peña defeated William H. McNichols, Jr., a 74-year old incumbent, to become the first Hispanic Mayor of Denver, a post to which he was re-elected in 1987. Peña advised Arkansas Governor Bill Clinton on transportation issues during Clinton's Presidential transition and thereafter Clinton chose Peña to head the United States Department of Transportation. At DOT, Peña led an organization of 110,000 employees with a budget of $37 billion. Peña also negotiated international aviation agreements with 41 nations during his term, pressing for increased freedom for airlines to serve markets. He cut the size of the Transportation Department by some 11,000 employees. He implemented the first international aviation policy for the U.S. since the Carter Administration. This strategy opened up aviation markets around the world, contributing to the revitalization of the aviation industry. He travelled extensively throughout the world to assist U.S. transportation companies access global markets. As Secretary of Energy for 18 months, Peña led an organization of 16,000 direct employees with a budget of $18 Billion. He developed the Administration's Comprehensive National Energy Strategy and oversaw the largest privatizations in the history of the U.S Government—the $3.654 Billion sale of the Elk Hills Oil Field, formerly known as Naval Petroleum Reserve No. 1. He crafted the Clinton Administration's strategy for oil and gas development in the Caspian Sea region and supported U.S. energy companies' investments around the world. 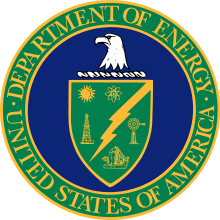 Although he had intended to leave Clinton's cabinet after a single term, Peña also served as Secretary of Energy from 1997 to 1998. In 1995 the Justice Department conducted a preliminary investigation into a California transit agency's awarding of a pension management contract to Peña's former investment management firm. 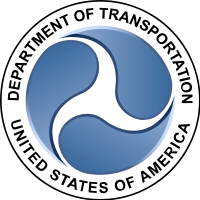 However, Peña had severed all ties to his former company both prior to the contract and prior to becoming Transportation Secretary. On March 17, 1995 Janet Reno ended the investigation. During his time as mayor in the late 1980s and early 1990s, he was instrumental in bringing the Colorado Rockies to Denver in 1993. 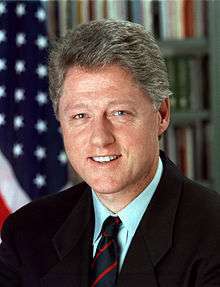 Upon leaving the Clinton administration, Peña returned to Denver. In August 1998 he joined private equity firm Vestar Capital Partners where he is a Senior Advisor. Peña Boulevard, a freeway in Denver and neighboring Aurora connecting Denver International Airport to Interstate 70, is named for him. As mayor of Denver, Peña led the effort to build the airport. In addition, Peña's vision ("Imagine a Great City") resulted in the revitalization of Denver economy with a new convention center, modernized Cherry Creek Shopping Center, neighborhood retail efforts, expanded library and performing arts center, and recruitment of the Colorado Rockies major league baseball team. Peña is the father of three children: Nelia, Cristina, and Ryan Peña. The divorce of Federico Peña and his first wife, Ellen Hart Peña, became final on September 10, 2001. Federico Peña married Cindy Velasquez on September 2, 2006. Cindy Velasquez is a former broadcast executive for Channel 7, KMGH-TV, and Channel 9, KUSA-TV, in Denver, Colorado and has a daughter, Pilar. Peña was a National Co-Chair of the Complete Coalition. Today he serves on several corporate boards and is involved in several philanthropic organizations. On September 7, 2007, Peña announced that he would endorse Senator Barack Obama in the 2008 presidential election, and also serve as Obama's National Campaign Co-chair. The move was notable in that Peña did not endorse Senator Hillary Clinton, the wife of the president under whom he served. On November 5, 2008, he was named to the advisory board of the Obama-Biden Transition Project. On October 26, 2011 Peña was elected to serve as a member of the Board of Directors of Wells Fargo. Pena was appointed to the University of Denver Board of Trustees in June 2015.